With gangs running poor neighborhoods, weapons easily available, judges and police often on the take, and prosecution rates low, Venezuela is the world's second worst country for homicides overall, the United Nations says. Lawlessness and violent crime have for long plagued daily life in Venezuela, and police are increasingly at the sharp end. Police murders rose 25 percent in 2014 and have accelerated so far in 2015 to a rate of nearly one a day. Under pressure to beat crime after President Nicolas Maduro declared it his priority at the start of his term, his socialist government does not give official data on police killings. Government officials did not respond to requests for comment from Reuters. The public is aware of the police murders via media and talk on the street, but sympathy does not run deep because of disgust at well-known corruption and crime within police ranks. "In the U.S., if one policeman is killed, there is an outcry. Here, no-one raises a voice to support policemen," said Jackeline Sandoval, a former police lawyer and public prosecutor who heads Fundepro. "If there's no security for police, what does that say for the rest of us?" Her Twitter feed, chronicling police deaths, often draws distasteful comments. "For me, let them all die, they're mistreating the students," someone wrote this month, referring to last year's clashes with demonstrators. International comparisons show the depth of Venezuela's problem. In the United States, which has a population 10 times bigger, the FBI says 27 law enforcement officers were killed in 2013. In Venezuela, the number that year was 214. Even the world's worst homicide hot spot, Honduras, has far fewer killings of policemen than Venezuela. Ravaged by gang and drug violence, Honduras had a murder rate of 90.4 per 100,000 people in 2012, versus 53.7 in Venezuela, U.N. data shows. 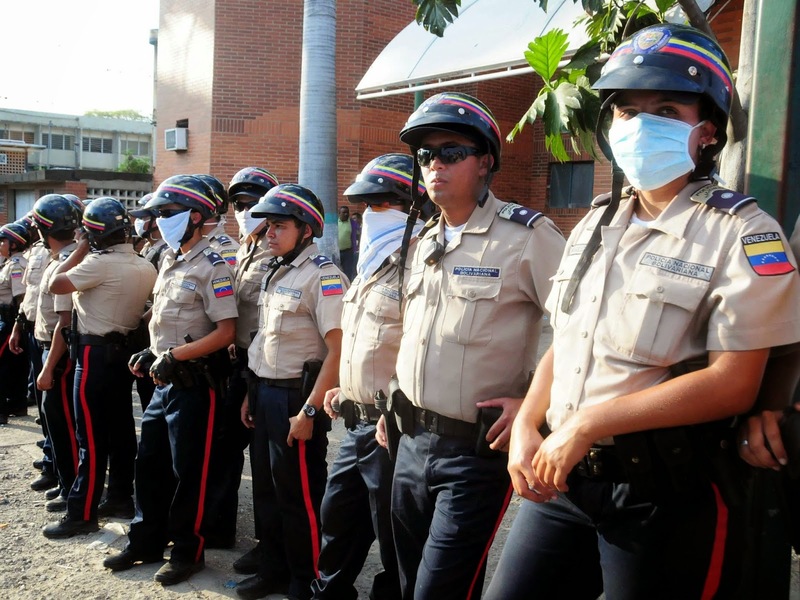 But Honduras' government says there were 35 police killings in 2013 and 32 in the first 11 months of last year. After finishing a routine overnight shift, Venezuelan policeman Edgar Perez was walking home from the bus stop when two armed men pulled up on a motorbike. Perez, 41, had time to draw his gun and injure one of the attackers in the shootout near his modest home in the town of Ocumare del Tuy outside Caracas, but the other shot him in the head and took his weapon. The officer died shortly afterwards in a nearby clinic, leaving a widow and three children. That same week in November, five other police officers were shot dead across Venezuela - among 268 murdered in 2014 in one of the world's most dangerous places to be a cop. Most of the officers were killed for their guns, cars, motorbikes or even telephones, according to local monitoring and rights group Foundation for Due Process, or Fundepro. The rest were victims of revenge killings or shootouts with criminals, and one officer was killed during political protests.